The Formula 1 World Championship has seen many innovative teams and showcased a number of dominant F1 cars, the list of which is endless. The question that arises is how do you differentiate between the legendary cars of different eras in F1? Do you only look at out-right performance? Do you look at winning streaks or does the aesthetics have a say? We have looked into all possible factors and curated a list of the five best F1 cars of all time. 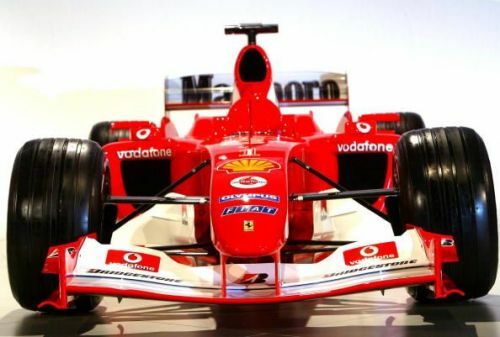 The Ferrari F2004 pictured during its launch. The Ferrari F2004 was one of the creations of the Ferrari dream team of Rory Byrne, Ross Brawn, and Aldo Costa. It was dominant in the 2004 F1 championship winning 15 out of 18 races, and setting numerous lap records. Michael Schumacher won a record 13 races that season on his way to becoming a seven-time world champion, while Ferrari was crowned Constructors Champions for the sixth consecutive time. The performance of the car can be attributed to the fact that the F2004 still holds the lap record at numerous circuits even though these circuits have been regularly used in F1.